SME is a biomedical services company with 8A certification and GSA contract, #GS-07F-0483W. We offer laboratory temporary staffing, scientific equipment maintenance, and medical device sales to our government clients. SME also provides small business startup and business development consulting, 8A as well as GSA consulting to small businesses. We welcome interested inventors and small businesses to collaborate on research as well as bidding on government contracts. SME has been serving National Institutes of Health (NIH) in Bethesda, Maryland and the surrounding biotech industry for the past 9 years, providing laboratory management, temporary staffing, and equipment maintenance services. 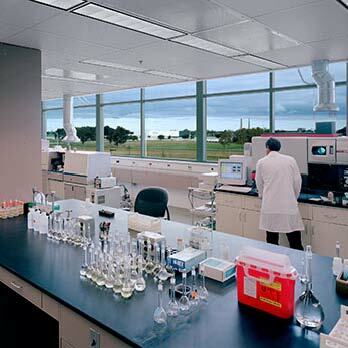 We help the laboratories set up databases to closely monitor the performance of mission critical equipment and the usage of expensive and rare reagents and chemicals. We negotiate equipment services contracts on behalf of the labs and manage the equipment installation, operation and repairs. We are familiar with government regulations on laboratory safety, equipment and supply procurement, research collaboration, and property impairment. SME has established itself as a reliable contractor who can help the labs save money by improving operating efficiency, cut waste from research projects, and ensure proper compliance with government regulations on safety and ethics. As a temporary staffing agency, SME has provided the NICHD laboratories with high quality researchers and has offered the individual contract employees opportunities to develop new skills and better prospects at later employment. SME has a wide network of talented researchers; we have the expertise to best match perspective employees' strength with the demand at our clients. As a result, our employees have track records of contributing to scientific publication and perform high quality research work. Below is a list of tasks and attributes our empoyees are known to perform and possess. SME provides consulting services to local and international small businesses in the field of life science and biotechnology. We have broad knowledge of small business startup and specific expertise in business development for biotechnology related ventures. We help our clients evaluate specific technology or patent, identify niche markets and write marketing plans, and explore alliance opportunities and exit strategies. As a local company serving NIH main campus in Bethesda, Maryland, SME has a constant presence in the labs. In addition, SME has fast response time to meet your unexpected most urgent need for help. For example, SME has helped a lab at NEI diagnose and solve an ABI 3100 connectivity problem that saved the lab over $3000. We possess diverse sets of skills and expertise that cover research, instrumentation, logistics support, operation analysis (consulting), and human resources. We made a difference for our customers, we can make a difference for you. Manage NIH property inventory, surplus, transfer, property pass, etc. We arrange around-the-clock coverage for your most important freezers, refrigerators, and cold rooms, so no valuable sample is left to chance. We will get the best deal for you! Call us today to find out more about this exciting, flexible program. We have references in the NICHD and NHGRI - they will be happy to talk to you about our programs. Throw your needs here and expect things coming in no time! We can prepare orders for the NIH Purchasing staff, track the progress of the orders through the system, and help out with the receiving after the products arrive. Some orders are problematic - let us help you find alternatives, stay on top of the issues and get what you want without spending your own time. We compile chemical and/or biological reagents in easy-to-update spreadsheets so that you have full grasp of current inventory - no waste of money and time on duplicating purchases. We have experience in automating data collection and analysis, using our proprietary in-house software. With our programming and expert systems knowledge, we can work on your special data analysis needs. Special interest areas are in electrochemical data analysis, with a focus in Visual Basic,C++ and Fortran. 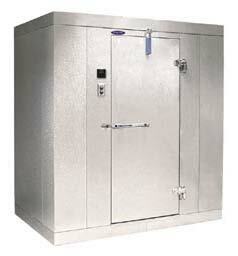 Freezer content management system, $299/copy. We help you meet NIH regulatory guidelines by cleaning up your inventory and sorting out records.